After stressing for months on end, I have finally applied to go to university for a course which I'm pretty sure I'll love. The university that I've accepted as my first choice is located in an area that I can really see myself living in. It's not a busy city, but not in the middle of nowhere, either. For me, the area is perfect. The campus is right on the doorstep of the main town - so good riddance to all the crappy buses I currently catch just to get anywhere! The course is centralised around writing; a hobby of mine that I've had since a child (sounds cliché but so true!) I can imagine myself now - coffee in one hand, laptop in the other, marching off into town dressed in a sophisticated outfit (okay, okay, maybe not sophisticated haha) to sit in the park and just write. I cannot wait. I cannot wait to meet new people and find a way of living by myself. (Is going self-catered such a good idea when there is the possibility that I could find myself living off baked beans and ready-meals?) It's certainly going to be a life-changing experience. (Oh, there goes another cliché). But I will miss home. I will miss the crappy buses that I have to catch just to get anywhere, I will miss my quiet little village and my friends. Most of all, I'll miss the family. The fact that I will probably never permanently live here after I leave in a few months time scares me. Sometimes it scares me so much that I contemplate whether this is even such a good idea. I mean, I know it is, but just for that split moment I do have doubts. All this makes me wonder, am I doing this right? Is all that stress over picking the right course and choosing the right university and deciding where I want to live for the next three years going to be worth it? I'm sure I'm not the only one that is just a tiny bit worried about what I'm going to do. Is my life going to be as I imagine it? The answer to that is hopefully, but probably not. I will make decisions in a couple of years time that I would never even think about making now. Decisions which will lead me to new decisions which will lead me to more decisions. This path of decision-making will take me - hopefully - to wherever I want to be at that time. 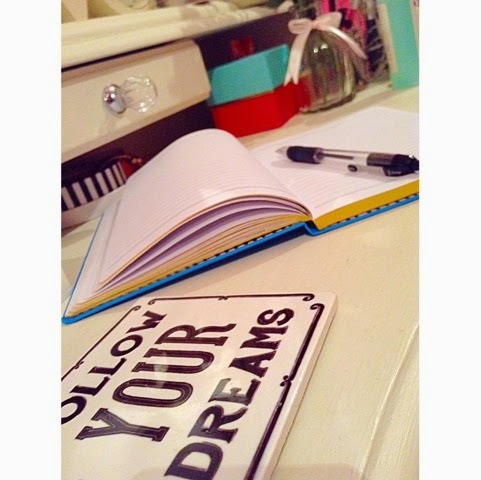 The dreams that I have now may not be the same dreams that I will have when I finish university. I may end up in a job which I don't even know exists at the moment. But all I know now is, as long as I do what makes me happy, it doesn't matter where I'll be. And that's what university, in my opinion, is all about. It's about growing and setting up the rest of my life. So I'm taking it one step at a time and making the decisions I want to make, and going to university is definitely one of them, despite little panics about it every now and then!